Have you been keeping track of all of the deals happening on Tuesdays lately? Next time you feel the urge to dine out on that day between Monday and Wednesday, keep the following wallet watchers in mind. Half-off appetizers from 3:00 p.m. to 7:00 p.m. at Old Venice Pizza Co.
Am I missing a Tuesday special? Let me know by commenting below or emailing me at foodie@eatingoxford.com. I passed by Varsity Grille today and noticed a sign announcing that it had reopened under new management with a new menu. Of course, I had to check it out. The original interior has been toned down to reveal a more casual, friendly ambiance. 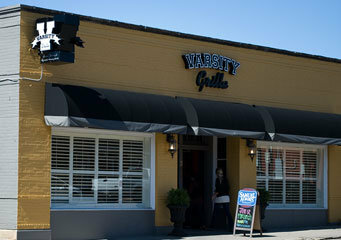 Time will tell if the changes–effective at the Tupelo location as well–will help or hinder the future success of Varsity Grille. UPDATE 2/2/10: The new menu is scheduled to be online by the end of the week, but in the meantime, Varsity Grille has posted a newsletter, which talks about a $1 kid’s menu every Monday; the new decor that invites patrons to write on the walls (a la Taylor Grocery and Red House? ); happy hour specials 2-7 everyday; and a coupon for a free appetizer (with purchase). Click here for the details. UPDATE 2/5/10: The new menu is up. Click here to check it out. I made a return trip to Varsity Grille the other day and was pleased to see that they’ve already begun making adjustments to their menu. 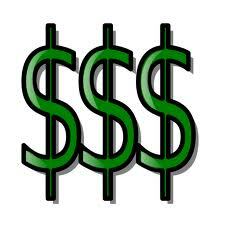 Any savvy restaurateur knows that the first several weeks after opening are crucial to the success of your business. Eliminating items from the menu that are out of place (the Chicago deep dish pizza we spoke of earlier is now gone), and tweaking recipes (the before meal bread and butter is now spot-on) can spell success for a restaurant that would have otherwise failed. During this last visit, my dining companion was not pleased with their meal. Instead of simply removing the food, the manager came over and asked specifically what the problem was, promptly replacing the meal with another menu item. Kudos to a great display of customer service! And, signage went up out front a couple of days ago as owners Michael Blankenship, Michael Greer, and Clyde Whitaker prepare for guests in this Oxford outpost of the restaurant, which has another location in Tupelo that’s holding its grand opening on 9/25.